16 September. A new rightist party is formed in response to General Hodge’s hostility to claims by the Korean People’s Republic to be Korea’s legitimate government. Founded by conservative elements, including a group of landlords and businessmen, and led by Song Chinu as party president, the new Korean Democratic Party denounces the KPR as a communist organization. 19 September. Once a guerrilla fighter with Chinese communists in Manchuria and now a major in the Red Army, North Korea’s future leader arrives home, landing at the east coast port of Wonsan. The Soviets are dissatisfied with the current leadership of Korea’s communist party and suspicious of Cho Mansik, the powerful Christian conservative in their midst. Kim is thus an alternative future leader worth considering. 5 October. Faced with rising popular discontent, General Hodge creates an 11-member Korean Advisory Council to assist the military government. This is led by the businessman and publisher, Kim Sŏngsu, accused by some of having been too close to the Japanese. With most appointees from the Korean Democratic Party, many Koreans feel the council does not represent them. The only leftist is Yŏ Unhyŏng, who quickly withdraws from the council. Another appointee, the northerner Cho Mansik, never attends. 10 October. Exasperated by claims of the Korean People’s Republic to be the legitimate government of Korea, General Hodge asserts that the U.S. military government is the only legitimate authority in Korea south of the 38th Parallel. Henceforth, military officials begin taking over local government offices across the south and ejecting KPR representatives. 16 October. After more than three decades in exile, the veteran hero of Korean resistance to Japanese rule returns to Seoul from the United States. Despite later denials, his return seems to be at the collusion of the U.S. occupation authorities, with Rhee landing in one of General MacArthur’s own transports. Four days later, he makes his first public appearance, at a welcoming ceremony put on by the U.S. military in Seoul. 3 November. Although still nominally head of the Soviet-backed Five-Province Administrative Bureau, Cho Mansik is increasingly at odds with the Soviet authorities. Backed by the hugely influential Christian community and propertied classes in northern Korea, the right-leaning Protestant leader founds the Democratic Party of Korea. This enjoys initial widespread popular support. 11 November. Finding himself increasingly marginalized within the People’s Republic and tacitly accepting General Hodge’s demand that the KPR reorganize itself as a political party, Yŏ Unhyŏng resigns his KPR positions. He then establishes the People’s Party, a moderate but short-lived left-wing political party. 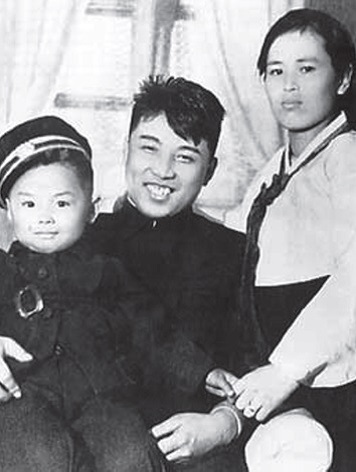 Yŏ’s departure effectively leaves the communists in control of the KPR but sidelined by the U.S. military government, which rejects its leftist agenda. 18 September. Although he celebrates the surrender of the Japanese forces in Seoul, saying this ‘heralds the liberation of a freedom-loving and heroic people’, the U.S. president adds that the assumption by the Koreans themselves of the responsibilities and functions of a free nation and the elimination of all vestiges of Japanese control ‘will of necessity require time and patience’. 3 October. Foreshadowing similar U.S. moves in the south to exercise greater control over local people’s committees, General Terentii Shtykov, supreme commander of Soviet occupation forces in northern Korea, establishes a Soviet Civil Administration headed by one of his generals. This initiates the formation five days later of a shadow Korean administration, the Five-Province Administrative Bureau under the leadership of Cho Mansik. On the 12th, Shtykov issues an order dissolving all indigenous security organizations including the volunteer police. All weapons are to be surrendered to the Soviet authorities. The effect is to disarm any potential non-communist dissidents. 13 October. With the Communist Party of Korea’s organization and membership firmly based in southern Korea, and pursuing its own independent agenda there, the Soviets encourage the formation of a North Korean Bureau of the party. Kim Il-sung is a member but not its secretary. Even so, when 100,000 people gather in downtown Pyongyang next day to celebrate Korea’s liberation from Japan, Kim Il-sung is introduced to the crowd by Soviet commanders together with Cho Mansik and other Korean leaders on the podium.